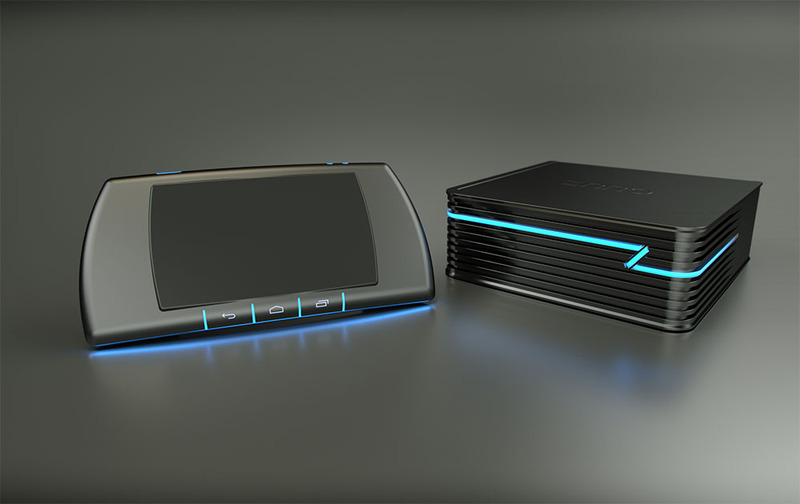 Only because the world needed another Kickstarter-funded Android gaming console that will more than likely ship months late and under-deliver, we thought we should introduce you to ZRRO. ZRRO opened on Kickstarter today, seeking $200,000 from you and I, so that it can deliver an Android gaming system that plays the way mobile games were meant to be played, with a touch pad. Apparently, consoles that tried to convert mobile touch-friendly games into console-like experiences that utilize a typical gamepad, had it all wrong. ZRRO thinks you should use their hover touch pad, to play like you would on your phone (using your fingers and thumbs), but through your TV…if that makes sense. The ZRRO is made up of a couple components – the ZRRO BOX and the ZRRO Pad. The box is the console side of the equation, with its quad-core processor, 2GB RAM, 16GB internal storage (micro SD support up to 32GB), and video output up to 4K. The ZRRO Pad is the controller side that is essentially a flat multi-touch pad with Android’s recent/home/back buttons, plus volume and on/off switches. The ZRRO tries to be unique with a hover-like experience seen through the ZRRO Pad, in that it detects your fingers as you hover over the pad, so that your touch experience is reflected onto your connected TV. The ZRRO team also claims that they have patented a tech called zTouch that solves a ghosting problem, and thinks this provides the best gaming experiences because they haven’t had to try and convince developers to customize content for their console. The ZRRO starts at $150 for early birds and will only go up from there. Should the ZRRO reach its funding goals, the current schedule shows it set for delivery in September and October. Anyone taking bets on whether or not that happens?